Basal cell carcinomas are the most frequent type of malignant tumor to affect the eyelid (85–95% of all malignant eyelid tumors). The most frequent location is the inner portion of the lower eyelid. There are many different types of basal cell carcinomas but the nodular variety is one of the most common. It appears as a raised, firm, pearly nodule with tiny dilated blood vessels. If the nodule is in the eyelash area, some lashes may be missing. The nodule may have some superficial ulceration and crusting and look like a chalazion or stye. While these tumors are malignant, they rarely spread elsewhere in the body. For most of these tumors, surgery is the most effective treatment. 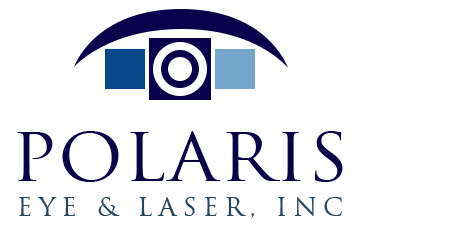 In severe cases when the tumor has been neglected for a long time, it can spread into the eye socket, which may ultimately require removal of the eye and adjacent tissue. 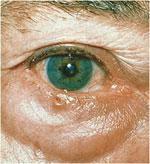 Sebaceous cell carcinoma originates in glands of the eyelid in elderly individuals. It is relatively rare but still accounts for 1% to 5% of malignant eyelid tumors. These are highly malignant tumors that may recur, invade the eye socket, or spread to lymph nodes. The tumor may look like a chalazion or stye, making it difficult to diagnose. Surgery is usually necessary for this type of tumor. Malignant melanoma makes up almost 1% of all malignant eyelid tumors but accounts for many of the deaths from malignant eyelid tumors. As with any other type of malignant melanoma, these tumors on the eyelid can arise from a pre-existing nevus or mole, or may arise with no other pre-existing cause. Again, these tumors tend to occur in sun-exposed areas of elderly fair-skinned people. Any pigmented area should be examined, especially if it is growing or changing color. Surgical removal is usually the recommended treatment.